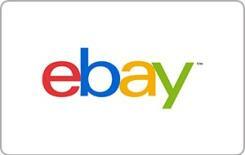 Earn 2 SB per $ when you buy eBay gift cards at MyGiftCardsPlus, powered by Swagbucks. The perfect gift, every time. The eBay Gift Card is the perfect way to give them exactly what they're hoping for-even if you don't know what that is.